The Annual Sports Lunch has become one of the most popular social business events in the calendar in Belfast and is attended by more than 600 Saffron Business Forum members and local businesses. 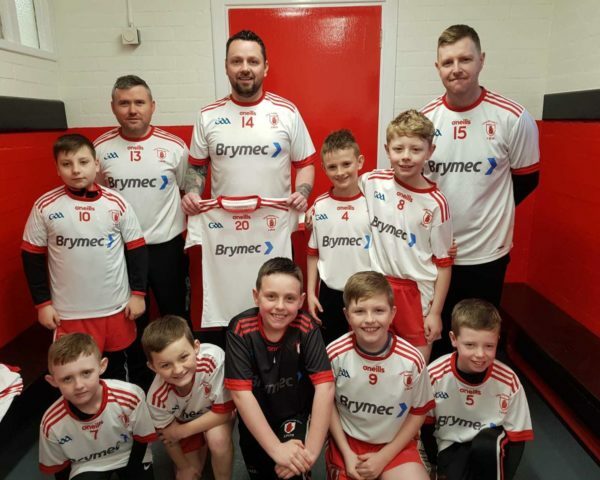 The proceeds of the event support Antrim GAA’s development squads; the minor football and hurling teams; senior football and hurling squads and creates Gaeltacht sponsorship. 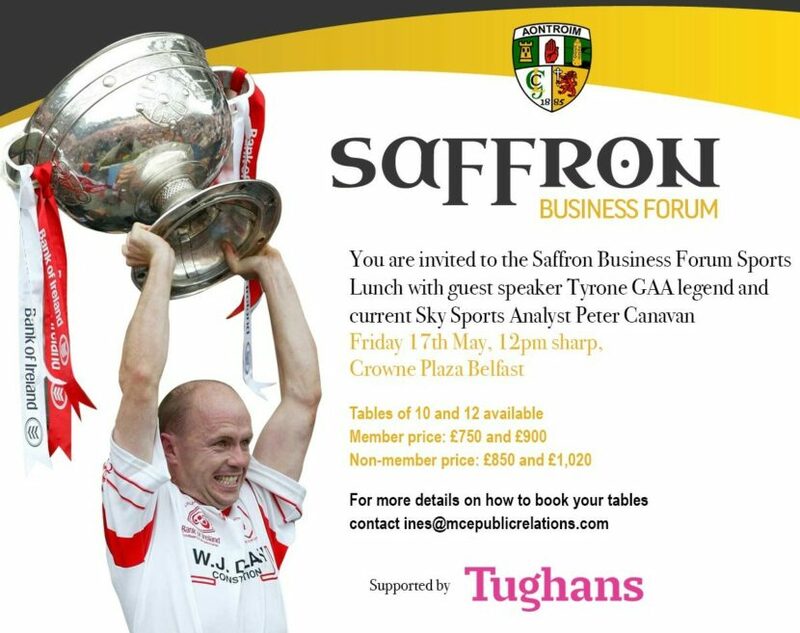 This year our guest speaker for the event is Tyrone GAA legend and current Sky Sports Analyst Peter Canavan. Peter played inter-county football for Tyrone, and is one of the most decorated players in the game's history, winning two All-Ireland Senior Football Championship medals, six All Stars Awards, four provincial titles, and two National Leagues and several under-age and club championship medals. 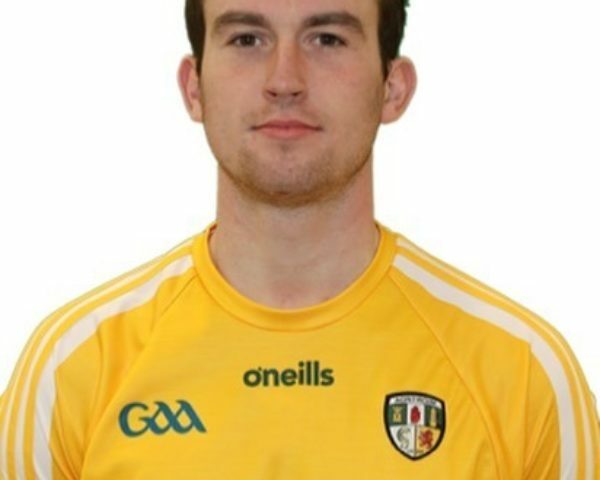 He represented Ireland in the International Rules Series on several occasions from 1998 until 2000. 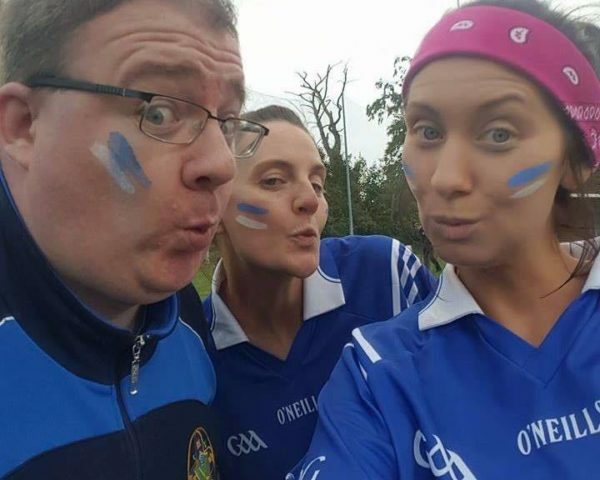 Peter is considered one of the greatest players of the last twenty years by commentators such as John Haughey of the BBC, and in 2009, he was named in the Sunday Tribune's list of the 125 Most Influential People in GAA History.